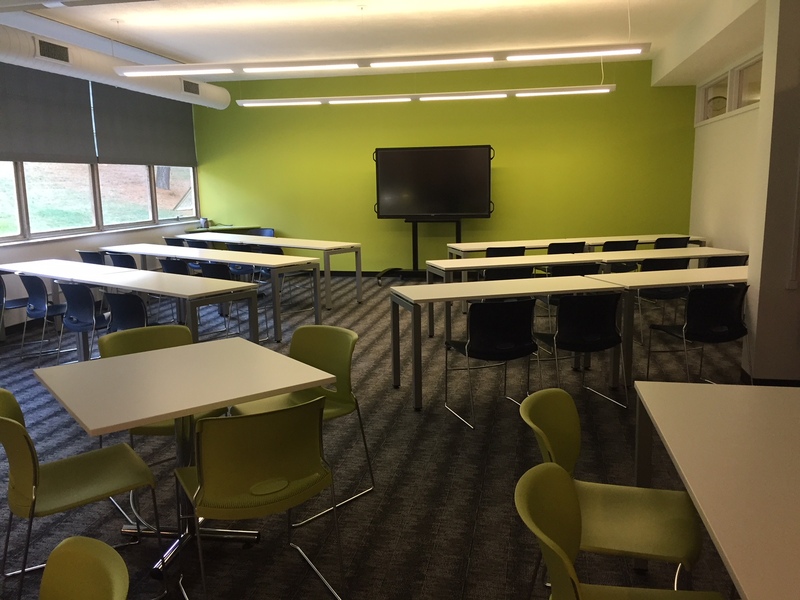 Six weeks into the school year teachers and students alike are thrilled to welcome the completion of the library renovations. However, the new and much improved the library made the wait worthwhile. At the heart of the collaborative work section lies the Google Jamboard. “The Jamboard will provide students the opportunity to work with their peers in innovative ways,” Schmidt proudly exclaimed. Because the Google Jamboard is part of the Google Cloud Suite all the apps that students have on their Chromebooks will be available on the Jamboard. The space itself will also be getting an upgrade. This platform will engage students while providing an area to relax. New furniture will decorate the entire room. With a designated area including couches and lounge chairs. “Think Starbucks,” Schmidt said. 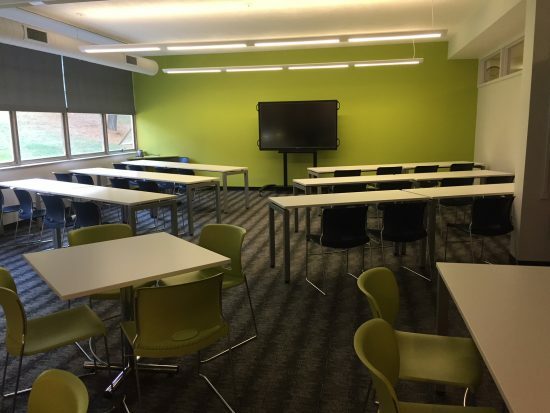 “Students and staff alike will have new educational opportunities in a renovated space,” Schmidt said. These exciting new renovations would not be possible the continued support of our generous donors.